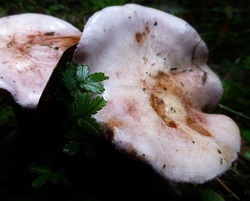 When they are young, web-cap mushrooms have a cortina, which is web-like veil that runs between the stem of the fungus and the cap margins The web is in place of a fleshy ring but because it is usually quite fine, the threads quickly break and usually, on older specimens all that remains is a discoloured band of threads towards the top of the stem. 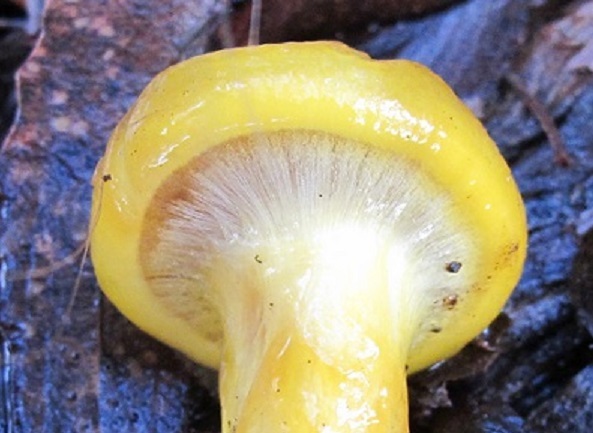 The spores of web-caps are usually copious and rust coloured so that older specimens tend to have gills and stems that are stained a rust colour. 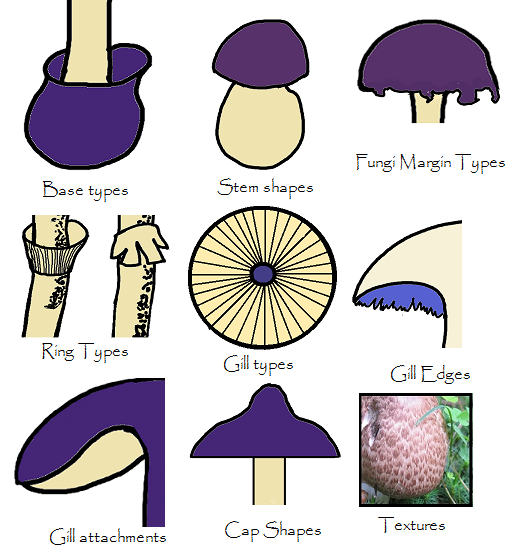 The web-caps include Cortinarius, Dermocybes, Cuphocybes, Crepidotus and Descolea fungi. 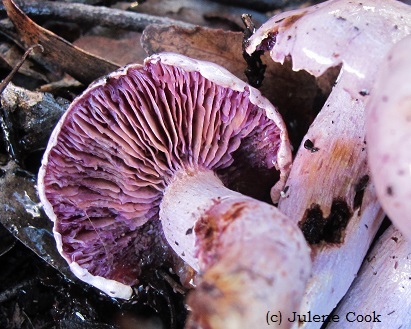 Cortinarius is a very large group of mostly poisonous mushrooms and many Australian varieties have not been described and named. 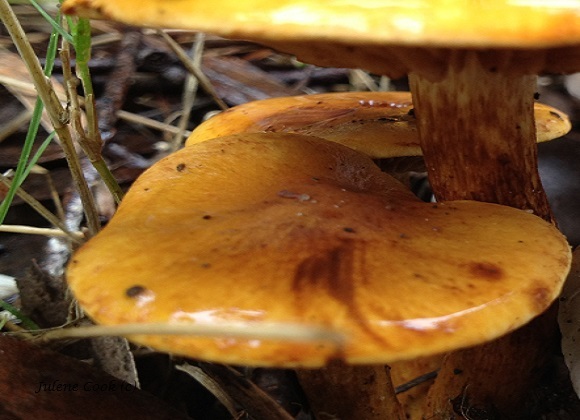 For more Australian Cortinarius, Dermocybe and Descolea mushrooms, consult fungioz app. 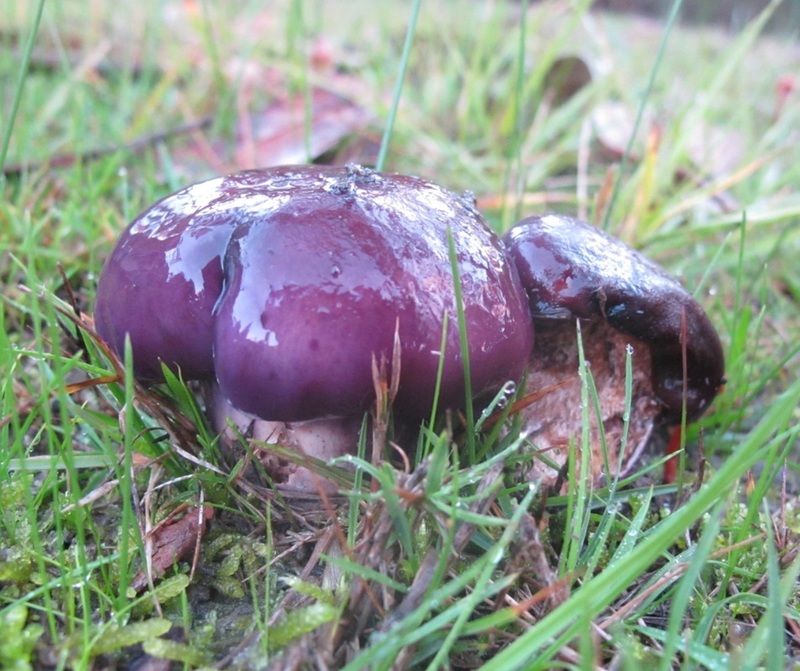 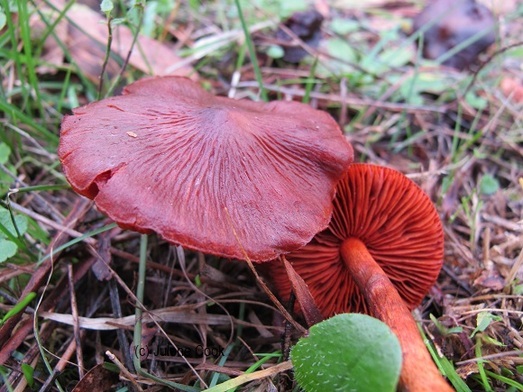 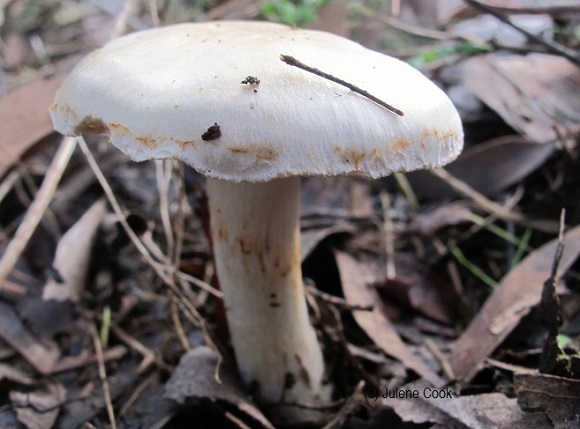 See our blog post for a comparison between the poisonous Cortinarius australiensis and the edible horse mushroom, Agaricus arvensis.